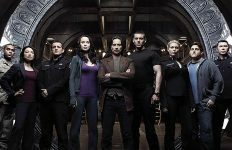 American Mythology will mark the start of 2018 with a 2-in-1 collection of new, short stories from Stargate Atlantis and Stargate Universe. An upcoming issue of the Stargate comics line from American Mythology features the best of both worlds. 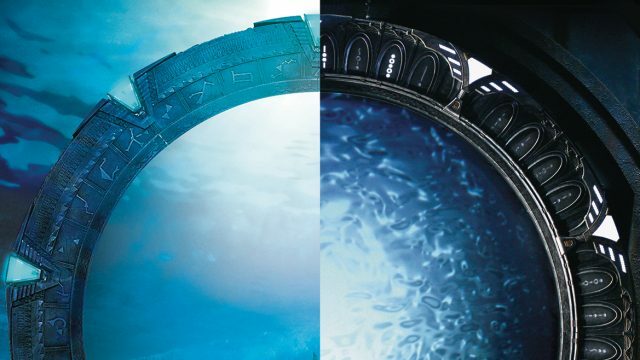 A special “Anthology” issue will kick off 2018 with stories from both Stargate Atlantis and Stargate Universe. 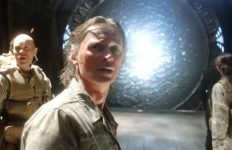 The “flip-book” style issue includes original Atlantis and SGU short stories, which pre-date the events of their main comic titles. In Atlantis‘s “The Other Guys” Colonel Sheppard and his team come upon technology that could pose a threat to the city. 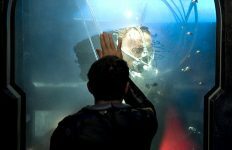 Then, SGU‘s “Camille” explores one character’s journey during the final hours before the series finale, “Gauntlet” — perhaps what Camille Wray did prior to entering stasis on board Destiny. The stories are written by Mark L. Haynes & J. C. Vaughn, with art by Greg LaRocque & Eliseu Zeu Gouveia. Three different covers will be available, two at the $3.99 price and a premium cover (pictured above) at $9.99. The issue is now being solicited (as “Annual 2018”) in Diamond Previews (October 2017) for a December 27 release. If your local comic shop doesn’t normally carry Stargate comics, stop in and ask them to order it for you. 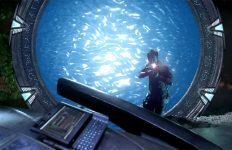 Check out the cover gallery below, and keep up with the latest Atlantis and SGU comic books with GateWorld’s Comics section!